The Packages have been designed to include EVERYTHING so that we take the organisational stress away from you, however every wedding should be as individual as the couple so we have a few extra bits that you are welcome to add on too so feel free to ask for more detail..
We cater for all styles and budgets by offering an extensive range of packages for you to choose from and are happy to customise it to suit your needs too. Designed to impress, this Cocktail Wedding Package includes both a Full Ceremony, Welcome Cocktail and Drinks as well as quality food that will more than satisfy your guests. For those hosting a larger wedding or looking for a little more comfort, there's no easier way to make your celebration feel warm and intimate than with long, banquet-style reception. We set the table for your closest family and friends by creating an intimate reception space using long, banquet-style seating. Full Ceremony followed by a delicious 3 course Menu with an eye for detail will definitely excite your guests. Wanting a beautiful outdoor Wedding with no fuss, we have three packages from with different foodie options for your guests to enjoy. Set on the banks of the Swan River with breathtaking views and surrounded by shady trees, we transform the reserve into the most stunning Ceremony and Reception location with cocktail furniture, festoon lighting and a beautiful food to enjoy. 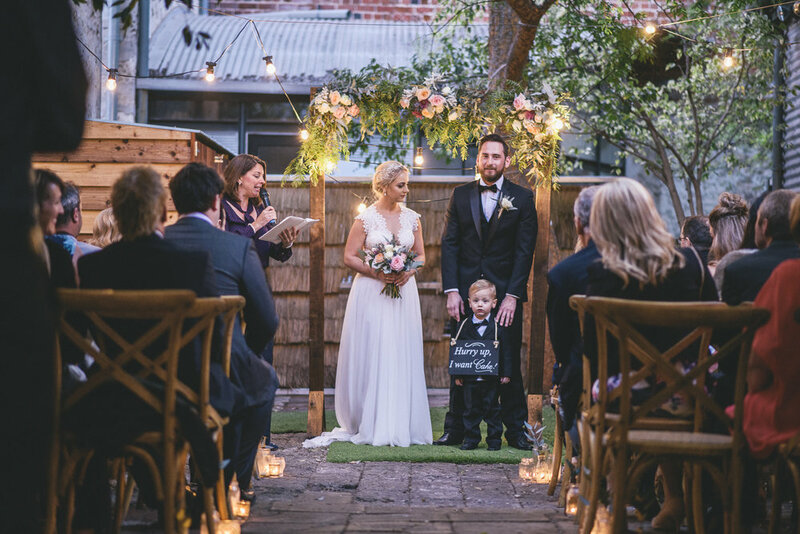 Set in a Heritage Listed building in Freo’s Westend, this Eclectic Venue is well known for its great food, service and vintage style and so as one of our favourites, we have teamed up with them to bring you this exciting all-inclusive Ceremony & Cocktail Reception Package!